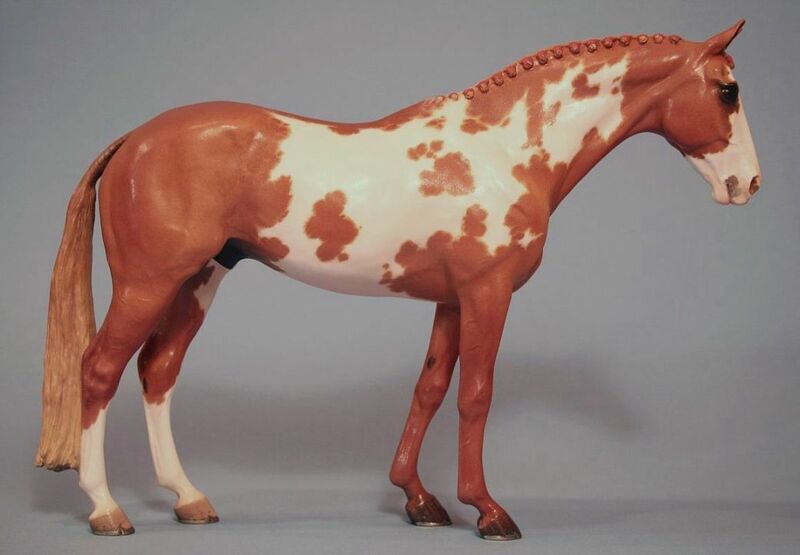 This is the long sought after traditional scale "Showman" sculpted by Kathi Boguki, daughter of the famous equine and wildlife sculptor, Edwin Boguki. 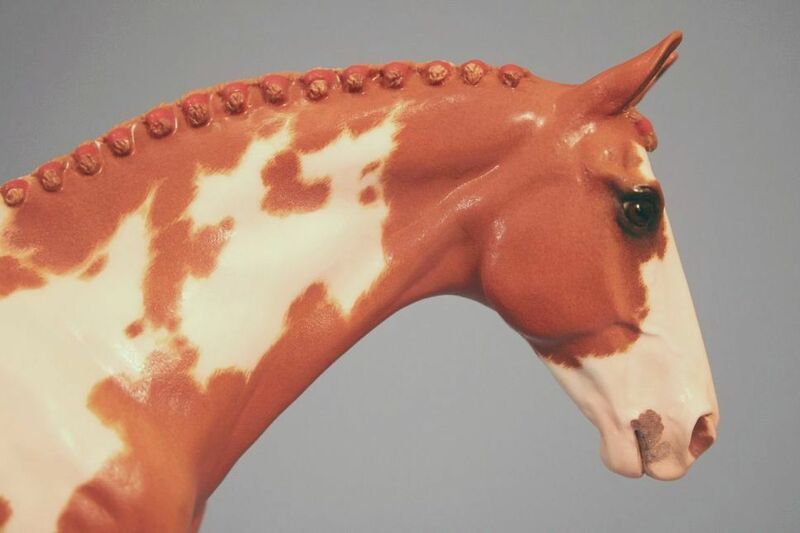 Originally produced in resin, this piece is now available in fine English bone china by the Horse Gallery of Horsing Around of England in a limited edition of only 50 pieces. 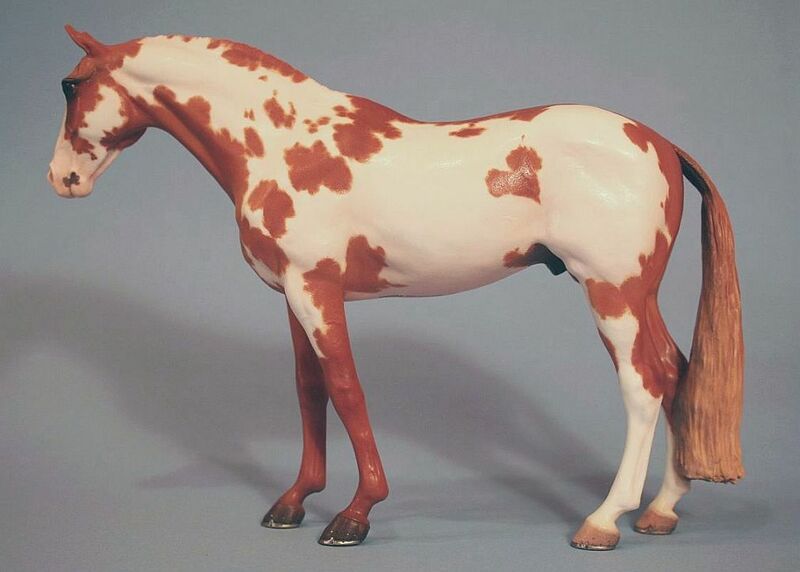 This Warmblood has claybody resculpting to increase the size of his hooves, slightly more leg substance, and a longer tail than the artist's original piece. 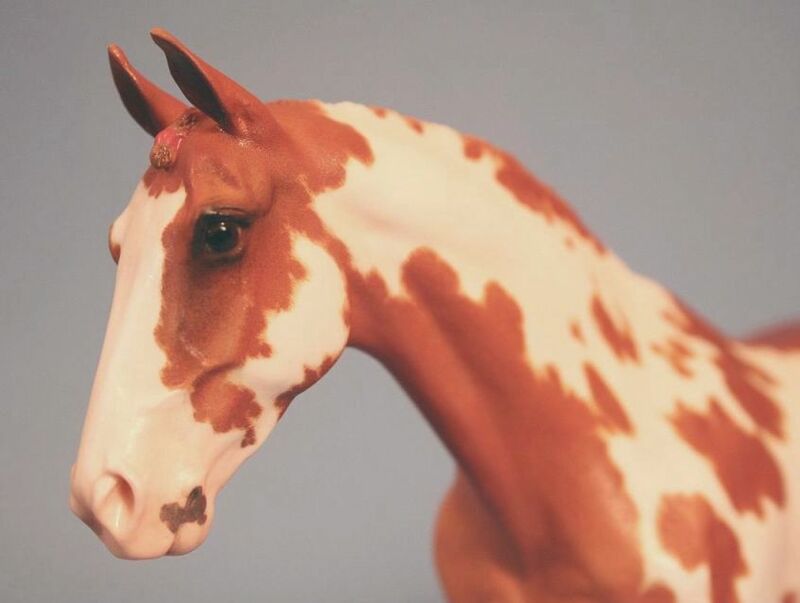 Then he was carefully underglazed to a reddish-gold chestnut overo Sport Horse gelding by myself, Paige Easley Patty, and completed with a satin glazed finish. 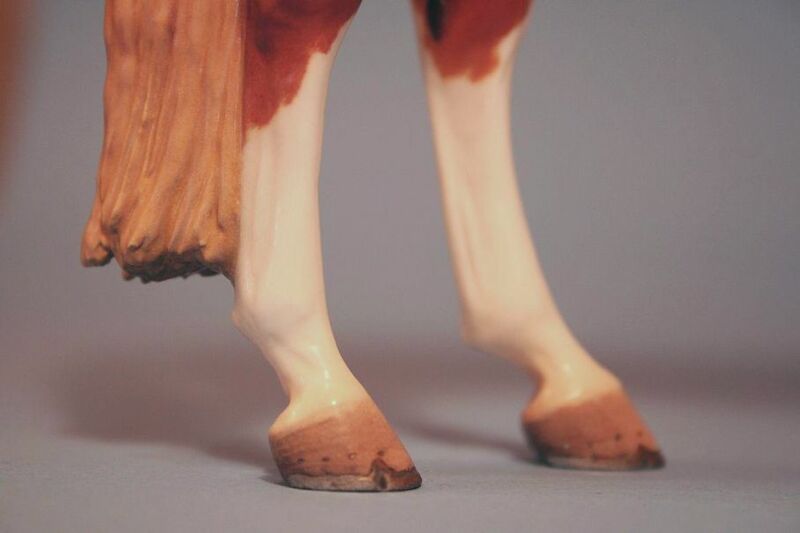 All work, including the red banded braids and the white gold luster on his shoes, is entirely fixed in the kiln with multiple firings from cone 04 down to cone 018. This page is image intensive with many large photos. Please be patient while it loads. This piece is now available for sale, with limited time payments. 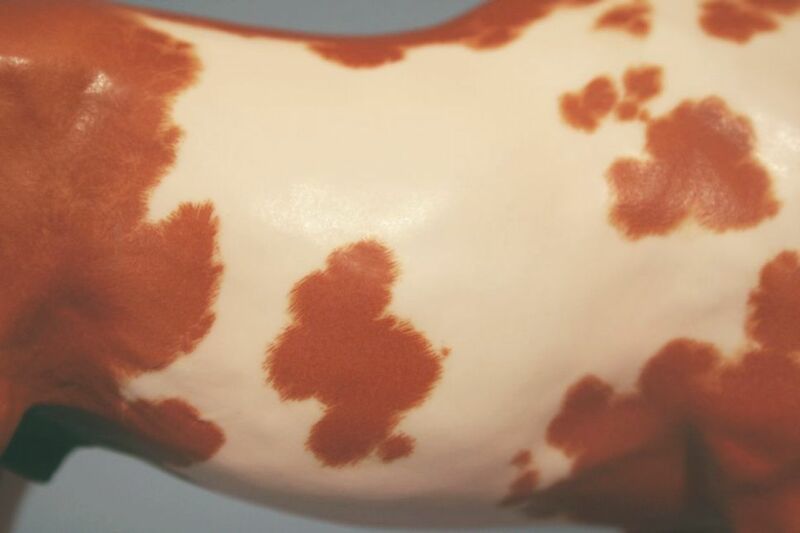 Please see the information below and contact the artist through the Hanblechia Studio Yahoo news group if you are interested in arranging to purchase this piece. The finished piece is both slightly shinier, and more golden than these images appear on my monitor. I will replace these images if I can get better photos.